KUALA LUMPUR (Reuters) - Saudi oil giant Aramco will buy an equity stake in Malaysian firm Petronas' major refining and petrochemical project, the companies said on Tuesday, pumping in $7 billion in its biggest downstream investment outside the kingdom. The deal will boost Aramco's downstream business ahead of a planned initial public offering next year and also bolsters Malaysia's state-controlled Petroliam Nasional Bhd - known as Petronas - after it cut spending because of the slump in oil prices. In a joint statement, the firms said Aramco will take a 50 percent stake in select ventures and assets in the Refinery and Petrochemical Integrated Development (RAPID) project developed by Petronas. The deal signing was witnessed by Malaysian Prime Minister Najib Razak and Saudi King Salman, currently on a state visit to Malaysia - the first in over a decade. "Malaysia offers tremendous growth opportunities and today's agreement further strengthens Saudi Aramco's position as the leading supplier of petroleum feedstock to Malaysia and Southeast Asia," Aramco Chief Executive Officer Amin Nasser said. "With RAPID's strategic location in a prolific hub, it would also serve to enhance energy security in the Asia-Pacific region." Petronas' Chief Executive Officer Wan Zulkiflee Wan Ariffin told reporters Aramco will take a 50 percent stake in RAPID's refinery and cracker project. Aramco will supply up to 70 percent of the crude feedstock requirement of the refinery, with natural gas, power and other utilities to be supplied by Petronas. "To my knowledge, it is the largest single downstream investment made by Saudi Aramco outside the kingdom," said Sadad al-Husseini, a former Aramco executive. RAPID, part of the Pengerang Integrated Complex (PIC) in the southern Malaysian state of Johor, will contain a 300,000 barrel-per-day oil refinery and a petrochemical complex with a production capacity of 7.7 million metric tonnes. The total development cost has been estimated at $27 billion. Like neighboring Singapore, Malaysia's Pengerang peninsula sits between the Malacca Strait and the South China Sea, through which almost all the Middle East oil and gas bound for northern Asia's industrial powerhouses of China, Japan and South Korea is shipped. Petronas on Tuesday said almost 60 percent of the PIC development is complete, and that it is on track for refinery start-up in 2019. Petronas CEO Wan Zulkiflee said the idea for a partnership on RAPID was first mooted in 2014 when he met the then Aramco Chief Executive Khalid al-Falih, now the Saudi energy minister, in Geneva. 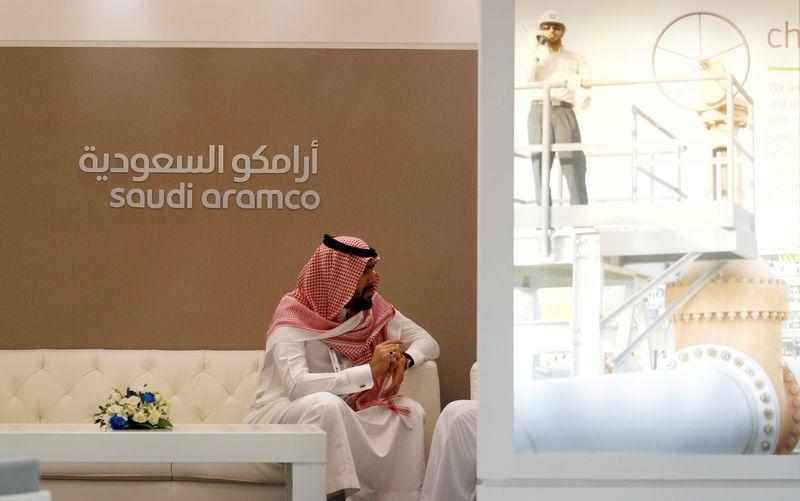 Sources had told Reuters in January that Aramco had pulled back from a planned partnership with Petronas on RAPID over concerns about returns from the project. But the deal was back on within a month in time for King Salman's visit to Malaysia. "We started negotiations three years ago. There was not any plans to break out of the agreement... From the beginning we came with the intention to stay," Aramco CEO Nasser said on Tuesday. The Aramco investment comes as a relief for Petronas which has cut expenditures in the past year as oil prices have slumped from over $100 a barrel in 2014. In early 2016, Petronas said it would cut spending by up to 50 billion ringgit ($11.27 billion) over the next four years. Dividends to the government coffers have also been slashed. Saudi Energy Minister Falih echoed Nasser's comments, saying Saudi Arabia would use the Malaysian investment as a platform to other investments in southeast Asia. "We will encourage the private sector of Saudi Arabia to come and look at Malaysia as an investment for its own market and also to address the needs for the broader region," he said.